This is a Korean name; the family name is Jong. Jong Tae-se at the match of North Korea against Brazil at the 2010 FIFA World Cup in Ellis Park Stadium. Jong Tae-se (romanization used by FIFA, otherwise spelled as Chong Tese (鄭大世; チョン・テセ) in Japan and Germany; hangul: 정대세, hanja: 鄭大世; (1984-03-02)2 March 1984) is a Japanese-born Korean footballer. He is most remembered for his key performance at 2010 FIFA World Cup representing the North Korea national team. He is one of few North Koreans who played in the Japanese J-League or the German 2. Bundesliga. He is currently playing for and is the captain of Shimizu S-Pulse. Jong was born in Nagoya, Japan between a father who has South Korean citizenship and a mother who has Joseon citizenship, and became a South Korean national based on the father's family register at the time of birth. According to, his legal nationality is South Korean. But his mother's nationality is Chōsen-seki, so he can choose the North Korea national football team. His mother sent him to attend a private school in Japan run by Chongryon, a group closely tied to the North Korean government – where he started football at its elementary school club. He later attended Korea University, a private university in Tokyo also funded by Chongryon. Consequently, Jong has said that he and his family identify themselves as North Koreans. 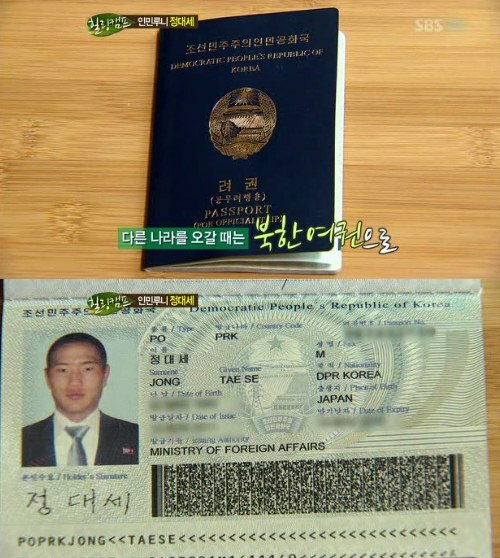 Chongryon, North Korea's de facto embassy in Japan, issued a North Korean passport to him. This made him eligible, per FIFA rules, to play for North Korea and resulted in de facto dual nationality. Jong is fluent in Korean and Japanese. He also knows how to speak Portuguese which he learned from his Brazilian teammates at Japan's Kawasaki Frontale. He also speaks German from playing in Germany. He speaks cursory English, due to his trial in Blackburn. Jong publicly emphasized the separation between sportsmanship and politics after the disputes before and during the match between North Korea and Japan on 15 November 2011. After joining Kawasaki Frontale in 2006, the striker quickly rose to become one of Kawasaki's best players and one of the best strikers in the J-League. Jong went for a trial with English club Blackburn Rovers in early 2010. After the 2010 World Cup, Jong joined German club VfL Bochum. After one and half seasons in the 2. Bundesliga, Jong transferred to 1. FC Köln in the Bundesliga in January 2012, following an injury to German international Lukas Podolski. However, his time at 1. FC Köln was marred by a lack of playing time. On 3 January 2013, Jong announced that after he would start playing for the first-division South Korean K-League club, Suwon Samsung Bluewings. He had expressed interest in the move for several months before the announcement, and the Bluewings and Ulsan Hyundai FC had both been negotiating with him. Jong joined the South Korean outfit on 10 January 2013 for a reported fee of €300,000 from 1. FC Köln. After deliberation by K League 1 and FIFA authorities, Jong was registered as a South Korean (domestic) player in the K-League and AFC Champions League competitions. On 6 April, he scored his debut goal for Suwon in a 3–1 home win against Daegu FC. Two weeks later, 20 April, he scored a hat-trick in a 4–1 win at Daejeon Citizen. On 8 July 2015 he was bought by Shimizu S-Pulse as an emergency signing as Shimizu were in the drop zone after total points calculation from both stages of the season. He was inserted into the starting lineup on 25 July, Matchday 4 of the 2nd stage, away to his former club Kawasaki Frontale which ended in a 2–3 defeat. Jong's first international appearance was on 19 June 2007, during a 2008 East Asian Football Championship qualifier match against Mongolia and he scored his first international goal in that game. He went on to score a total of four goals which Korea DPR won the match 7–0. Jong also played at the 2008 East Asian Football Championship and scored two goals in three matches for Korea DPR, receiving top scorer honors along with Park Chu-Young, Yeom Ki-Hun and Koji Yamase. Before FIFA 2010 World Cup Jong was also the key figure in Korea DPR's 2010 FIFA World Cup qualification campaign, as they qualified for the World Cup South Africa for the first time in 44 years. Jong had made himself famous for sobbing uncontrollably when the North Korean national anthem was played before the kickoff of Korea DPR's first group stage match at the 2010 FIFA World Cup in South Africa, against Brazil. In that match he assisted Ji Yun-Nam's goal in a 2–1 defeat. Although nicknamed "the People's Rooney" by the English press, he likened his style of play to Didier Drogba. Updated to 18 February 2019. ^ a b ＜サッカー＞"人民ルーニー"鄭大世、韓国国籍でＣＬ出場 (in Japanese). japanese.joins.com. 1 February 2013. Retrieved 25 August 2013. ^ ‘동상이몽2’ 출연 정대세, 대한민국 국적인데 북한 대표팀 선수…어떻게? ^ a b "North Korea's Wayne Rooney". New York Times. 11 February 2010. Retrieved 18 February 2012. ^ "Jong Tae-se is North Korea's answer to Wayne Rooney". The Guardian. 11 February 2010. Retrieved 20 June 2012. ^ "Jong Tae-Se habla portugues y promete lucha a Brasil en el mundial 2010.flv". maurimc. 15 June 2010. Retrieved 3 July 2012. ^ Lee (이), Ji-ho (지호) (18 November 2011). 정대세, "北, 정치와 스포츠 구분해야". JPNews (in Korean). Retrieved 19 November 2011. ^ a b Duerden, John (30 May 2010). "Jong Tae-se is North Korea's answer to Wayne Rooney". London: The Guardian. Retrieved 18 February 2012. ^ Wilson, Zack (16 June 2010). "Introducing the crying North Korean, the 'Peoples' Rooney', the Blackburn nearly-man: Jong Tae-se". Goal.com. Retrieved 18 February 2012. ^ "Bochum holt Jong Tae Se, neuer Gerichtstermin für Boateng" (in German). Spiegel Online. 9 July 2010. Retrieved 18 February 2012. ^ "Chong Tese springt für Podolski ein" [Jong Tae-Se jumps in for Podolski] (in German). kicker. 30 January 2012. Retrieved 30 January 2012. ^ "Jong Tae-Se Joins Suwon Bluewings from FC koln". givemegoal.com. 10 January 2013. Retrieved 13 March 2013. ^ "'첫 승 실패' 서울, 5G 무승, 포항은 5G 무패... 정대세 첫 골(종합)" [The first goal of Jung Tae Sea] (in Korean). Osen. 6 April 2013. Retrieved 25 August 2013. ^ "[클래식 8R] '정대세 해트트릭' 수원, 대전에 4-1 역전승" [[Classic round 8]' Jong Tae-se scored a hat-trick' Suwon wins a come-from-behind victory] (in Korean). sports.news.naver.com. 20 April 2013. Retrieved 25 August 2013. ^ Anglesey, Steve (26 May 2010). "Weird World Cup: 10 amazing facts about North Korea". The Mirror. Retrieved 18 February 2012. ^ a b Ingle, Sean (1 June 2010). "World Cup 2010: Brazil find finishing touch to edge out North Korea". London: The Guardian. Retrieved 16 June 2010. ^ Bairner, Robin (1 June 2010). "World Cup 2010 Player Ratings: Brazil 2–1 North Korea". goal.com. Retrieved 16 June 2010. ^ Montague, James (15 June 2010). "The secret machine: Inside North Korea's World Cup squad". CNN. Retrieved 12 December 2017. ^ "Tae-Se Jong". National Football Teams. Benjamin Strack-Zimmerman. Retrieved 31 May 2011. This page was last edited on 15 April 2019, at 09:36 (UTC).